If you're looking for the best natural sunscreen you're not the only one. You don't want questionable ingredients. You don't want synthetic fragrances. You don't want anything that will irritate your skin or that will cause breakouts. The question is how do you find a company that specializes in natural, non-comedogenic mineral sunscreen products? How can you be sure their product will live up to the claims on the packaging? The easiest way is by knowing your ingredients. Knowing what each ingredient does and why it's included in the product is the best way to know if a product is truly "safe for all skin types" and won't clog pores. Another way is by purchasing products from reputable companies. 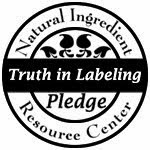 Makeup and skincare companies that have built their reputation on providing skin healing and skin protecting natural products will be able to answer your questions about their ingredients and formulas. They have built a business on natural products so you can be confident that is what you will receive. Who Makes The Best Natural Sunscreen? Sensitive skin, acne prone skin, and skin with inflammatory conditions, such as rosacea, often struggle to find something that works and doesn't irritate. The beauty industry, overall, still hasn't made these skin problems a main concern so if your skin is sensitive you're probably looking for a better alternative. First, find a company that is dedicating to manufacturing products that support, heal, and protect these skin types. The bonus is that normal skin, oily skin, post menopausal skin, children's skin, elderly skin, men's skin, post surgical skin and any other skin type can use and benefit from these products. The best all natural mineral sunscreen will have a few ingredients, not a laundry list. You will see the active ingredients are always titanium dioxide and zinc oxide. Their formula may contain one or both, but one will absolutely be the active ingredient. After that, ingredients may contain skin-soothing extracts such as aloe vera, chamomile, or calendula. There may be some iron oxides to help balance the whiteness of the zinc oxide and titanium dioxide. (Without this, you'd look really white after applying your sunscreen.) Some may contain serecite (a colorless mica) or boron nitride to give the sunscreen a soft, silky feel and help it apply easier to the skin. You've seen sunscreen that claims it is all natural and non-comedogenic. That might not mean anything to you. The best definition means the ingredients are the least irritating possible and no ingredients make the final cut unless they are absolutely necessary to make the products better. The list of of ingredients you "should" avoid could be extremely long, but there's a simpler way. If your product has these, consider looking for a product without Fragrances, FD&C Dyes, Parabens, Petroleum Oils & Byproducts, and Talc. What Is The Protection Level (SPF)? When you think of natural sunscreen, you may think they aren't able to provide the same amount of protection as those available on your drugstore shelves. Well, mineral sunscreen will surprise you. By using natural broad range UVA/UVB blockers such as titanium dioxide and zinc oxide you can easily achieve SPF 30 and better. The all-natural way, of course! What makes this even more appealing is the fact that mineral sunscreen adheres better to the skin, doesn't slide off like oil-based sunscreens, and is highly water-resistant so you are protected through exercise, strenuous activity, and sweat hour after hour. Long lasting protection is just as important as the SPF rating. Mineral sunscreen gives you both. Your skin is important and you should find a company that takes the responsibility of caring for it very seriously. The best natural sunscreen is going to care for your skin, protect your skin, and not irritate your skin. Try mineral sunscreen and see what you think. Your skin will thank you for it!